Interview with an'ya (Anđa Petrović), Oregon, USA...15.8.2011. An'ya, Andja Petrovic, born Serbia/America? ------just an’ya, of Serbian Christian gipsie heritage on one side and born in America. 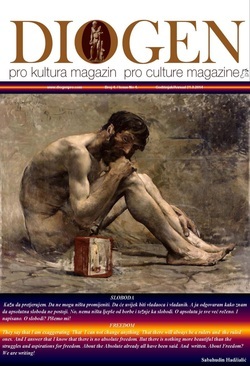 Can you describe for the readers of DIOGEN pro culture magazine how you became interested in writing in haiku and why you chose that particular style of poetry? ------I came to haiku from mainstream poetry and long epic epic poems, (one of which now hangs in the Serbian Heritage Museum in Windsor, Ontario, Canada.) At the bottom of this pattern poem in the shape of an Orthodox Cross, is also a haiku. I found out that the brevity of this form suits me much better and that a poet can say as much in 3 short lines and they can in a longer poem, if it is done correctly. 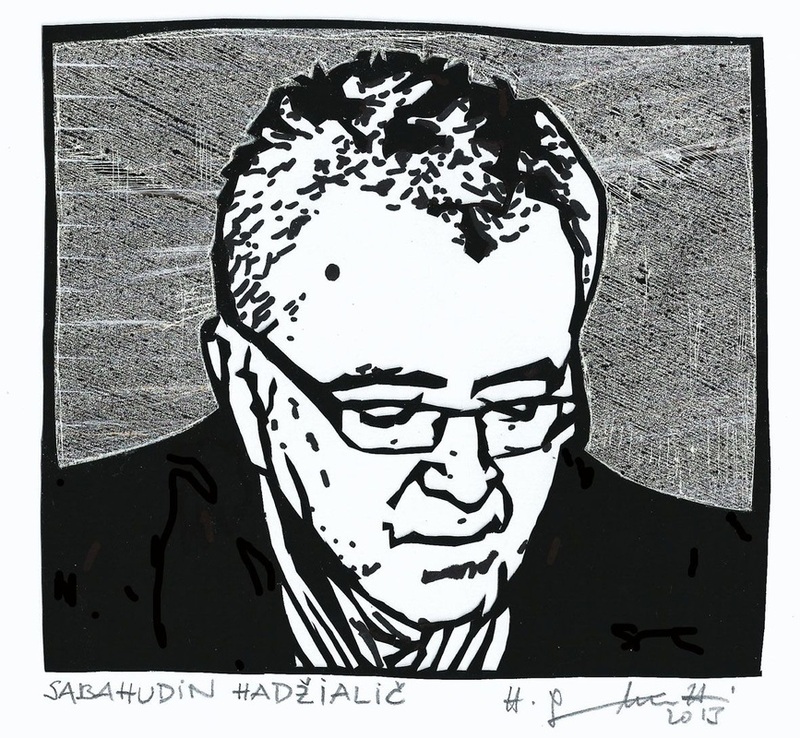 I was inspired even further when I found out that there were so many of our people in the Balkans also writing haiku. The very best haiku comes out of the Balkans. -------I personally follow a short, long, short rhythm usually with a seasonal or nature reference. No real routine of writing daily because the haiku just come to me as a gift at random times. Nature is all around us so it is easy for me to be prolific. We don’t live in the city so this also makes it easy for me to find subject matter. ------One of the best pieces of advice I’ve ever had came from Christopher Herold of the Heron’s Nest. He told me it was alright to go ahead and use personal experience because later on this is what would be most important to me when I looked back on the haiku. Another mentor once told me never to write about anything commonplace, only to write down the unusual. I thinkthe most important thing is not to get discouraged easily and to keep writing no matter what anyone says, but most especially to listen and learn from what they say. The patience to fine-tune each of your haiku is also a very big part of getting them right. What do you consider to be your main successes so far? -------I think helping others and meeting poets on an international level is my main success. Winning contests and being published is not as important as the friends I’ve made and the poetry itself. Is there anything that could be done to improve development on Haiku? -------yes, the school systems (at least in America) need to be updated insofar as how haiku has changed) from how it was originally taught. People need to be open-minded, listen to other poets and not be offended by critiquing. The use of personification (giving human attributes to nature) is rampant, as well as the use of multiple adjectives and the lack of articles to make the haiku flow. When did you start writing a tanka? ----my first tanka was just an experiment to see if I liked the extra room to say a little more, and I entered it in the Tanka Splendor Contest. It won the most overall votes and I was quite surprised and decided that when I needed to write something emotional rather than objective, I would write tanka. Haiku are easier for me however because as I said before “they are a gift” . . . and tanka requires the poet’s thoughts as does mainstream poetry. What else awakens your senses ... who, for example, are your main poetic haiku and tanka influences? ------mostly the old masters inspire me, and for modern day poets, Robert Epstein is one of my favorite haiku poets. Of course, I am always inspired by my husband Petar and our daughter Larisa. Which type of writing do you most enjoy? Do you have to be in a different frame of mind for each type? -------as I said, haiku is easier for me and I enjoy it the most. Tanka is second and I write it when the subject matter is of an emotional nature, and I definitely have to be in a different frame of mind for each form. In Japan, one is either a haiku poet or a tanka poet and rarely do they mix forms, although nowadays this is probably changed. What Haiga aesthetically lead to 21 century world of art and poetry that is new? What is unique about the way in which text and images are combined in Haiga? -------all haiga I believe lead to the modern-day use of haiku with images in the art and poetry world, and now the term “haiga” is a loose term, although it means “haiku painting.” Nowadays, even photo-haiku is now called haiga, as well as many other modes. What is unique about the way text and images are combined, is that the juxtaposition can go two different ways; a direct match of image to poem, or not a match at all. Finally, what advice and encouragement would you offer to poets and artists who want to try their hand at creating Haiga? -----do not be afraid to start, it can be self-taught and there are many fine YouTube videos, as well as sumi-e book available. And of course, the camera and other devices . . . Were you in touch at all with haiku colleagues? -------I am online daily and enjoy the international interface that the internet provides. Many friends and colleagues in the Balkans, Australia, New Zealand, Italy, etc., etc. Collaborating with foreign born poets is so rewarding! The event Petar and I coordinated for the Haiku Society of America this past June in our local area of Bend, Oregon USA, was made up of haiku poets from all around the globe. Over 1000 haiku were displayed on a haiku wall and the event was truly international. The international aspects are what we enjoyed most about moonset (no longer in print), but we still continue our relationships with many poets from many different lands. like women . . .
until daybreak . . .
the wheelbarrow . . .
all day today . . .
what did I expect . . .
my wind chime . . .